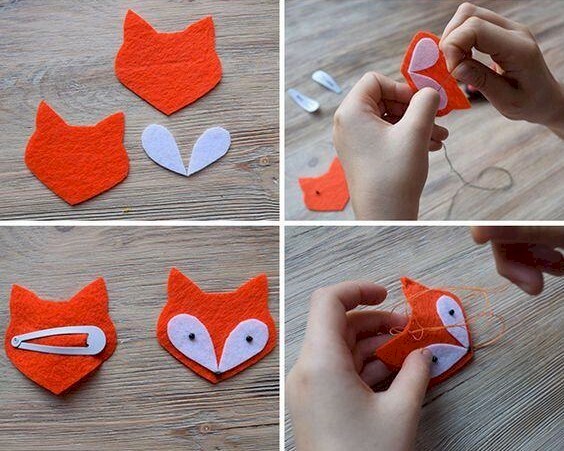 This Foxy Felt Hair Clip is a clever way to cover up those metal clips that you need to keep stray hairs in place. This pretty clip is also a good beginning sewing project. Using the picture tutorial as a reference make a pattern for the fox head and tear drop eyes. Cut two heads out of the orange felt and two tear drops out of the white felt. Sew the two white tear drops to one head and sew or glue the black beads on the tear drops as illustrated. Then do the same with the third bead where the two tear drops meet for the nose. Cut a small slip in the other fox head and insert the metal hair clip. Sew the two heads together using a blanket stitch; making sure that you leave the part of the clip that slides through your hair on the outside. Pandahall Learning Center is a large and free active online community on jewelry craft knowledge sharing. 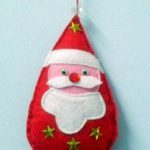 It collects thousands of jewelry making projects, techniques instructions about beading, wire wrapping, braiding etc.,as well as craft ideas and customer shows.